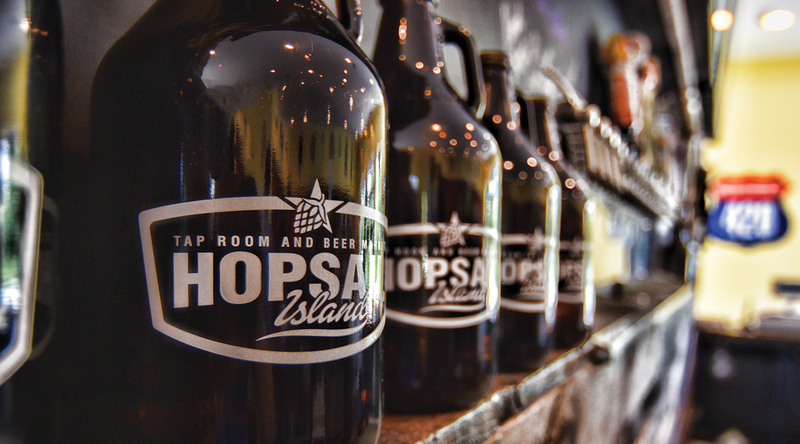 Hopsail Island’s rustic bar and laid-back atmosphere make it the perfect place to unwind with friends. State-of-the-art Digital Pour menus offer a fun way to expand your knowledge with new beers or find your favorite among their 24 rotating taps. The Digital Pour app lets you access their real-time draft list and keg levels. Rate your beers via Untappd and check into their verified venue! Dogs are also welcome at Hopsail Island. The beer market features 125+ varieties to build six packs to go or fill up a growler and hit the road.